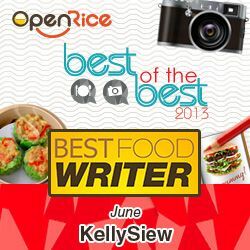 It’s always heartening to see a restaurant striving to provide a great dining experience for their customers. La Mexicana, owned by Mexican Chef Carmela and her husband Stephen, opened up at Terrace at Hock Choon in late 2012, has been fulfilling the void for authentic Mexican food, serving locals and expats alike. When it comes to Mexican food, a lot of ingredients are not easily sourced locally. This does not deter Chef Carmela however, who imports ingredients from Mexico on a weekly basis and started growing her own herbs and chili in the small garden beside the restaurant. Carmela’s passion for authenticity means the restaurant serves its own Homemade Corn Tortillas and traditional homemade Mexican Cheeses. Walking into restaurant, you can’t help but notice the bright contrasting colours and various interesting decorations, all brought in from Mexico. Even the wooden furniture is hand-painted to suit the theme. The bright pink feature wall is definitely eye catching with heart shaped mirrors and art pieces, infusing a hint of romance. The ambience is casual and relaxing, perfect for a long lunch or relaxed Happy Hours over one of the best margaritas in town. Start your meal with the “antojitos”, literally meaning “little cravings”; referring to small dishes perfect for sharing. Their Guacamole (RM20) has to be the freshest in town as it is always made to order, never beforehand. 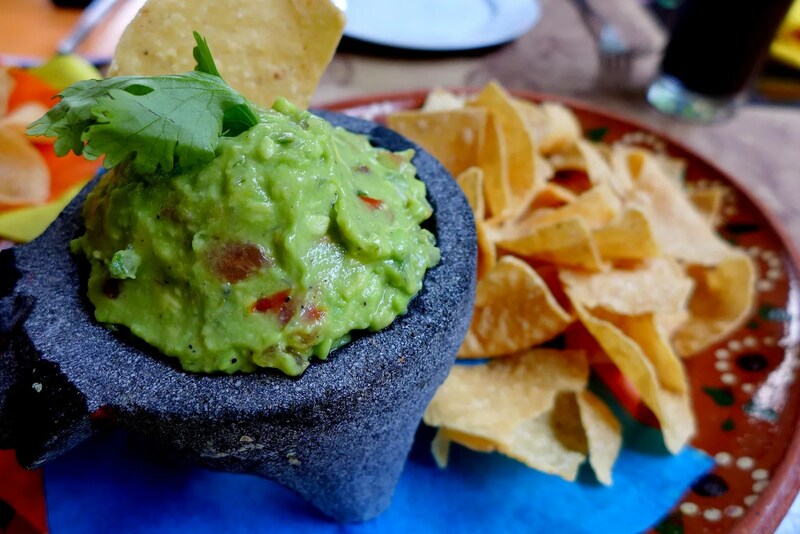 It comes in a traditional Molcajete: a traditional mortar and pestle; and is served simply with crispy corn tortillas. It is luscious, creamy with a perfect balance of citrus tang and a mild kick. Freshly made corn tortillas is far superior in taste than store bought too. 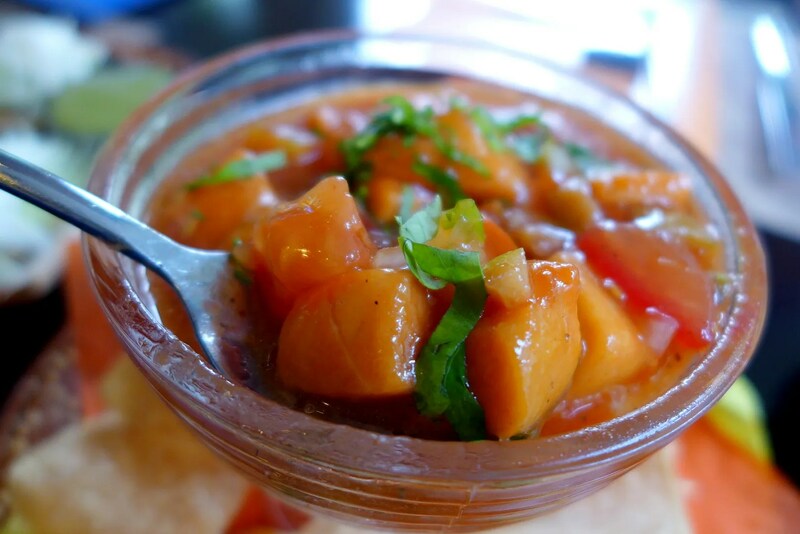 Then go for the Ceviche ‘Acapulco’ (RM20) to familiarise yourself with true Mexican taste. The raw red snapper is cured by lime juice and then served in a tomato based sauce with chopped coriander and onion. As there is no cooking involved, the freshest and most available fish has to be used. This is a great dish for a hot day, just scoop the mix onto a crispy tortilla and enjoy the burst of flavours. 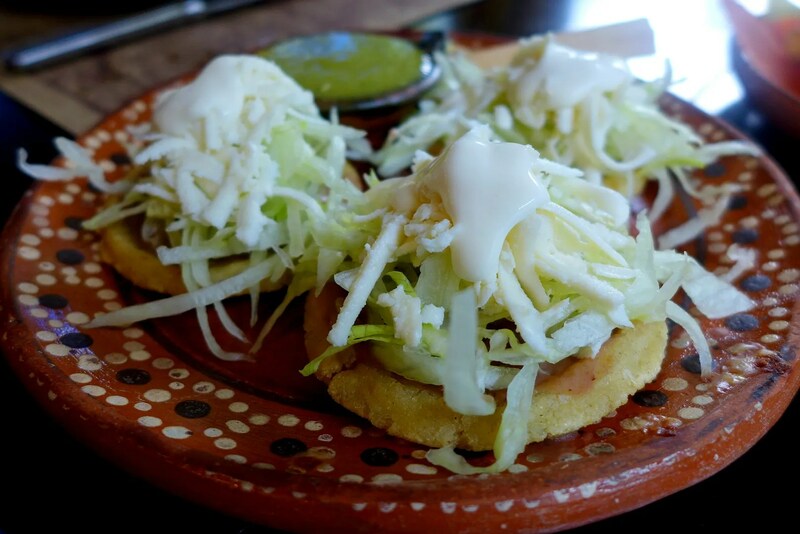 Sopes is a traditional Mexican dish consisting of a small thick fried corn dough base with pinched sides to resemble a small plate, topped with a variety of toppings. La Mexicana serves their Sopes with potatoes, homemade chorizo, cheese, Mexican sour cream and a side of Salsa Verde sauce (RM18). It’s a delicious dish with fun textures. The adventurous diners may give the Nopal Asado Con Queso (RM30) a go. As this edible type of Cactus isn’t available in Malaysia, they import. 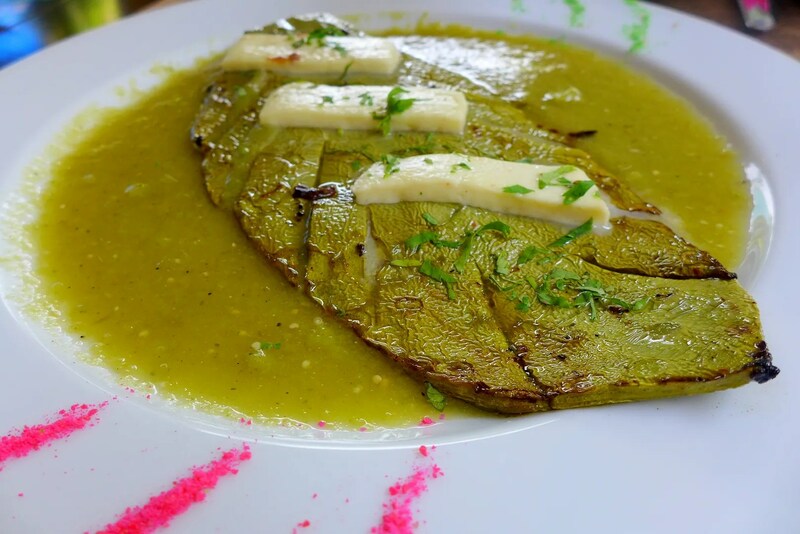 Here the Succulent Grilled Cactus Leaf is topped with Homemade Panela Cheese and served with Salsa Verde, the texture is somewhat similar to a cross of aloe vera and pepper, and it tastes a little tart with a hint of smoke from grilling. Break into smaller pieces and enjoy with the light cheese and fresh tortilla. 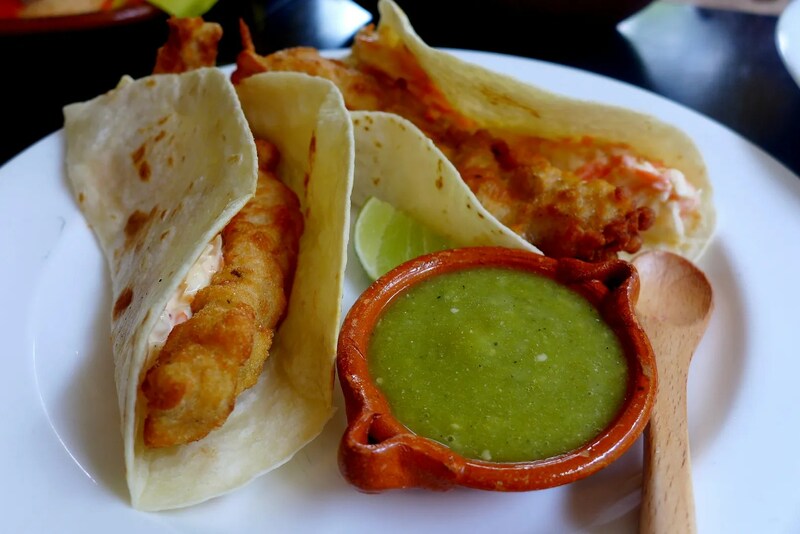 La Mexicana offers several variations of Tacos, starting with the Tacos Ensenada (RM25) which is a classic Baja-style fish taco with beer-battered fish and coleslaw. Crispy batter and flaky flesh, complete with the crunchy vegetables, freshened up with lime juice. 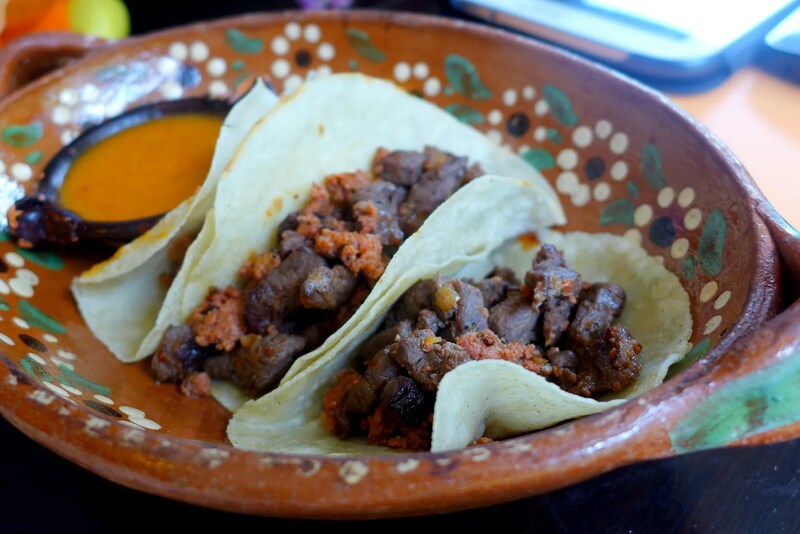 More interesting and robust in flavour is the Tacos De Bistec Con Chorizo (RM25), filled with cut up juicy beef steak and pieces of homemade sausages served with coriander, onion and a tangy red sauce. The Chile Poblano Relleno (RM48) may not be much to look at, owing to its thick brown sauce, but it’s definitely a winner. 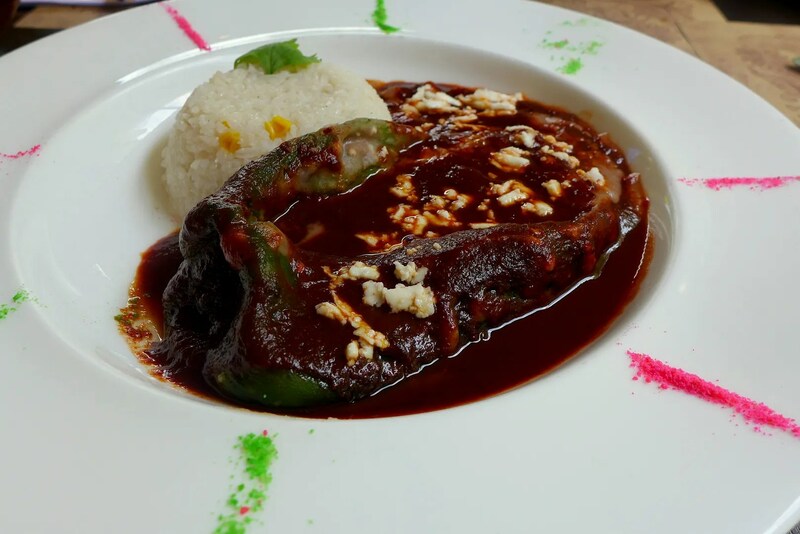 The Poblano chili is stuffed with refried beans and Panela Cheese, and flooded in a tomato and pasilla sauce, and then baked until the chili is almost blackened. It’s sloppy, spicy, smoky, and rather addictive. Traditional Mexican desserts are unapologetically sweet. The Tres Leches Cake (RM25) takes 2 days to make and it’s soaked in 3 types of milk: evaporated milk, condensed milk, and cream. It’s definitely not for the faint-hearted as it’s rich, incredibly sweet with a moist texture and lovely nutty aroma. 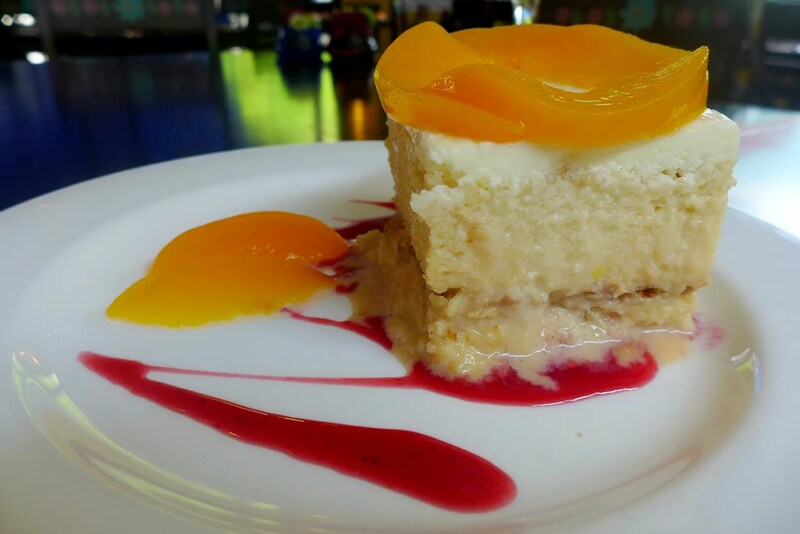 Here the cake is served with Peach slices to balance the richness. 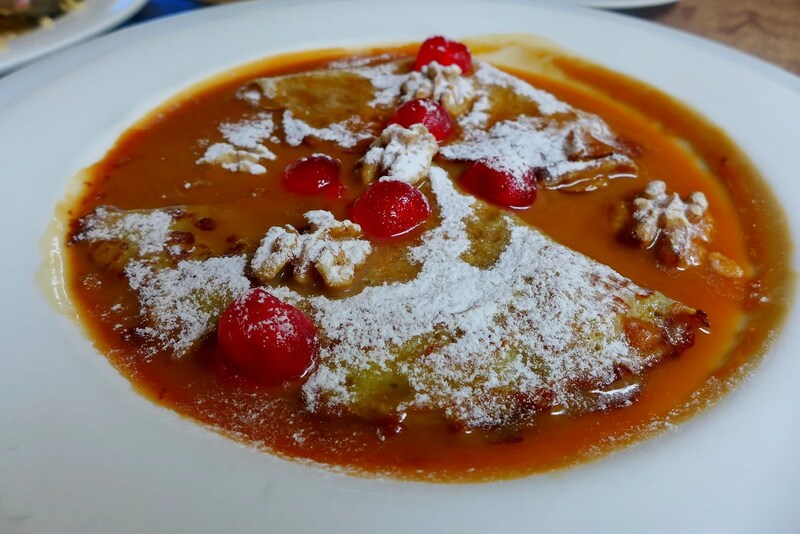 Another dessert for the sweet tooth would be the Crepas De Cajeta (RM20), folded crepes drenched in a heavenly burnt milk caramel sauce, served with walnuts and cherries. It’s a thing of beauty. La Mexicana is a beautiful place to hang out and enjoy the authentic Mexican flavours with family, friends or dates. And if the food is not enough to make you fall in love with La Mexicana, the owners and their team’s hospitality definitely will. This writeup was published in The Malay Mail on 7th March 2014. Yummy! La Mexicana es lo mejor!